Coremo Ocmea is one of the worldÃ¢â‚¬â„¢s best designers and manufacturers of disc brake calipers with over 50 years experience in industrial brake design. Products include hydraulic apply, air apply, spring apply, and electric brakes. Coremo also produce clutches and discs. Used on conveyors, winches, cranes, packaging machines, tension controls, mobile vehicles, hoists and drag lines. *spring applied/hydraulic released calipers up to 270,000 N tangentail force. Coremo hand applied brake calipers. *Hand wheel mechanically applied calipers up to 39,800 N tangential force. 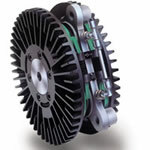 Used on fans, tension controls, winches and mobile vehicles. Used on conveyors, winches , cranes, tension controls and process machinery. Used on heavy duty cranes and winches and tension controls. *Brake disc up to 711 mm dia to suit TB and SB units. Used in medium tension controls for paper, foil, rope, plastics and wires. Used in medium to heavy duty tension controls for paper, foil , rope, plastics and wires. *Air applied tension control brake with centre mounted caliper and twin discs. Complete with hub and discs. Torques up to 1120 Nm. Used in tension controls for paper, fabric, plastics, foil , rope and wire. *Brake discs up to 711 mm dia to suit Smart and CAB brakes. Used in tension control for paper, fabric , foil and material. *Complete with hubs, discs , spring and mounting. Used for crank operated presses and shears. 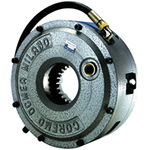 Coremo Airing Radial clutch and brake modules. Used for mill drives, tension controls and winches.